Recently, at the World Propane Convention held in Houston, Texas, many new innovative solutions for the propane industry were unveiled. As our industry has been around for many decades, it is always exciting to see how we are finding ways to simplify and streamline. Getting a chance to speak with the industry leaders who create the tools we use on a regular basis and occasionally discover how they continue to push the envelope and dare to create the “next thing” is one of the reasons many regularly attend these shows. At this year’s World Expo, one impressive company showed up with technology that is poised to serve the industry for decades to come. field, we have gauges everywhere, and we use them constantly. We see and use these gauges so much that they almost become mundane and part of the landscape. Fortunately for us, the engineering teams that build them are quietly taking them to the next level in a way that will benefit us all. gauges, so tank monitoring companies could snap​ on a device that reads the gauge, sends that reading by a wire to a transmitter, broadcasts the same out to a cloud database, and remotely tells us the fluid level inside fuel tanks located anywhere on the planet. 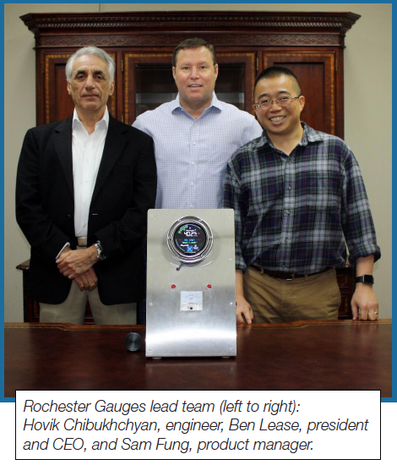 Their foresight to imagine, create, test, develop, and provide the industry this “connected” gauge has helped eliminate potentially millions of deliveries, reduce the cost of running propane companies globally, and significantly helped birth the remote tank monitoring industry worldwide. connect to their gauges in a way that eliminates the wires and clips presently used by tank monitoring companies to connect and read tank fluid levels. They have, in essence, replaced the wires and clips with tiny reliable low energy Bluetooth transponder technology. high-level situations. These innovations will initially allow drivers and companies to have a more accurate and instant reading of the fuel in their trucks. 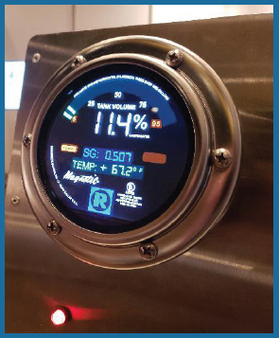 Eventually, Rochester Gauges sees this technology allowing the industry (via the tank monitoring companies already in the market) to more easily and affordably see the ​ volume of fuel in every tank they have in the market. increase bottom line profits. Lessons learned... In today’s marketplace, it is essential to continue innovation based on industry-led demands. Companies who listen to their customers and develop new innovative tools that serve them well will provide a win-win gain with benefits all around. Dreaming big and creating unprecedented solutions will prove to have lasting benefits for everyone. Customer-centric innovation wins yet again.